April 25, 2017 – A new national report, released today by Community Foundations of Canada in partnership with the Canadian Arts Presenting Association, is shining a spotlight on the power of the arts to build a greater sense of belonging to our communities, to our country and to each other. 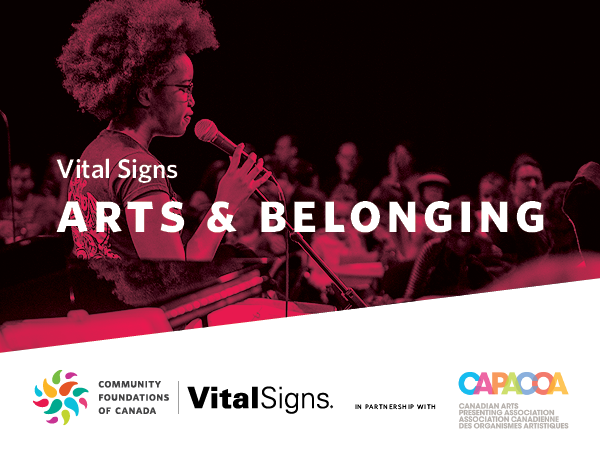 Vital Signs: Arts & Belonging, looks closely at how arts and culture, in all its forms, make our communities better places to live by helping people to better understand their identity and connect through shared arts experiences. The publication draws on community knowledge, a range of government and local data sources, and deeper analysis of responses from a 2015 cross-country survey conducted with the Angus Reid Institute that asked Canadians what it means to belong and be involved community activity. 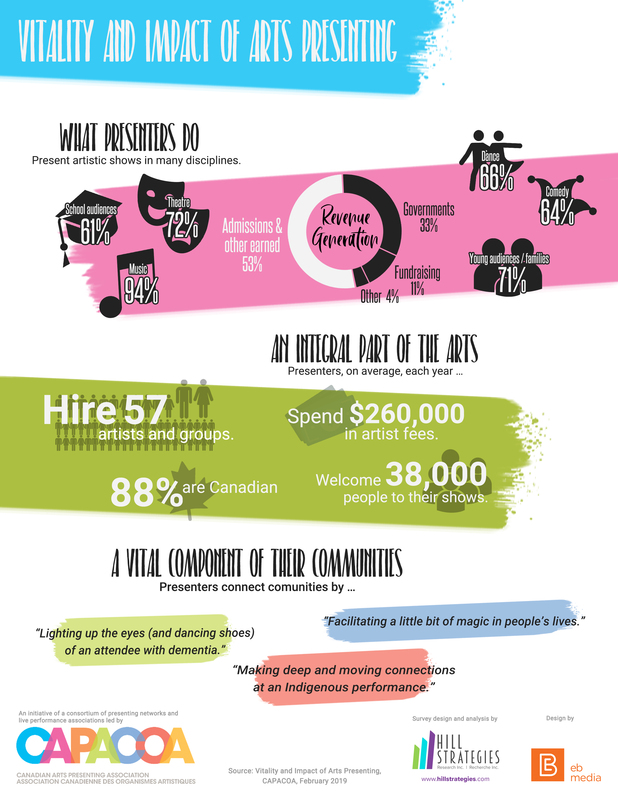 77% of Canadians agree or strongly agree that arts experiences help people feel part of their local community. This is especially true for newcomers and people in minority-language communities. Canadians who regularly attend live music have a stronger sense of belonging to their city or town. Canadians who rate arts, culture and leisure in their community as “excellent” are nearly three times more likely to report a “very strong” sense of belonging. Vital Signs: Arts & Belonging also highlights some areas for improvement. While almost all Canadians say that performing arts facilities are important to well-being and economic development, more than half of people surveyed suggest that arts facilities in their community could use an upgrade, both in quantity and quality. These sentiments are especially pronounced in Indigenous, rural, remote and minority-language communities. “This new knowledge opens up several exciting pathways for deepening belonging and enhancing community vitality through the arts,” says Frédéric Julien, Director of Research and Development, CAPACOA. The report also outlines a number of recommendations to help people of all backgrounds feel more connected to the arts and build bridges between communities, such as offering community engaged arts programs; reflecting diversity on the stage, screen and airwaves; and opening up arts facilities to the community. For CAPACOA, this report is another critical step in the ongoing dialogue on the value of the arts. The association will use the report’s findings to lead arts organizations, community organizations and municipalities as they explore innovative ways to enhance community vitality and health through the arts. Community Foundations of Canada is making the topic of belonging a strategic focus of its work during Canada’s 150th and a key theme of the network’s upcoming 2017 Community Foundations Conference. This latest publication is part of a three-year exploration of belonging that will culminate during national Vital Signs week in early October. Community Foundations of Canada is the national network for Canada’s 191 community foundations. Together we are a philanthropic movement working across sectors to help Canadians invest in building strong and vibrant communities.